Train to meet your goals with THE most qualified coaches in the area! After your free trial, pay just £15 a week with no contract for UNLIMITED ACCESS to all the classes on our timetable. This works out to JUST £1 PER CLASS!!! David is a 1st degree Black Belt who began his training at the birth of Brazilian Jiu Jitsu (BJJ) in the UK at the Rough House gym in Nottingham, training alongside future UFC fighters Dan Hardy, Paul Daley and Andre Winner. 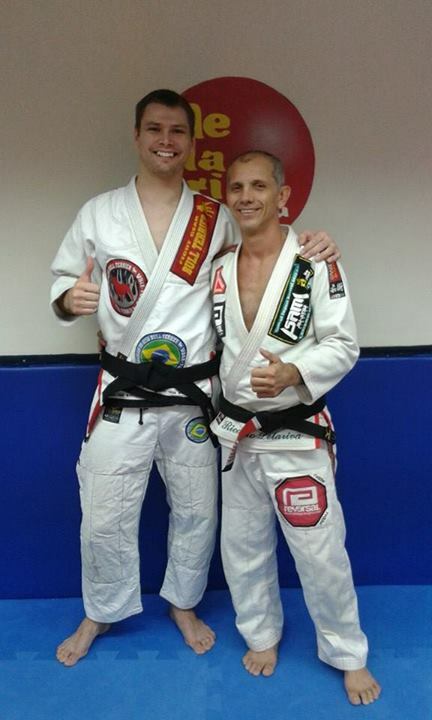 After concentrating on his BJJ training and spending years living and competing in Rio de Janeiro, Brazil he was promoted from Blue belt to Black belt in an almost unheard of 4 years! The average is well over 10 years! He became the first and only English Black Belt directly under living legend, Master Ricardo de la Riva, the famous inventor of the de la riva guard position. Aside from Jiu Jitsu, David is also the highest ranked native teacher in the United Kingdom of Luta Livre, he is graded under Milton Vieira and Master Jefferson Oliveira Pereira. Luta Livre is the Brazilian martial art of Freestyle Fighting. David always emphasises correct technique during the classes, focusing on what he calls the “Invisible Jiu Jitsu”, the tiny, often overlooked details that can make or break a technique. He draws on his training as a high school teacher to deliver outstanding lessons tailored to get the very best from each and every student. Ricardo de La Riva was born in Rio de Janeiro, Brazil in the year of 1965. He started training because of a dispute at the beach in Rio de Janeiro. Ricardo was playing football on Copacabana beach with his brothers when a group of kids asked to play with them. De La Riva and his brothers weren’t keen to accept, prompting an argument forcing the brothers to leave the beach. When they got home and told their father what happened, the patriarch was outraged and enrolled his children in Jiu Jitsu classes so they could learn how to defend themselves. This happened in January 1980 and Ricardo De La Riva was 15 at the time. Ricardo’s father was a big fan of Carlson Gracie in the Vale Tudo days and so he chose the famous school in Copacabana for Ricardo to start his training. The Carlson Gracie Academy was famous for its powerful guard passers, a style of fighting for which it is still famous today. De La Riva was a small and flexible individual who didn’t stand a chance against the power houses of the “Arrebentacao Team”. In order to survive, he started developing his guard, a style in which he excelled. The fact that he had so many amazing Guard Passers training with him on a daily basis admittedly helped his guard practice. De La Riva was awarded his black belt directy from the hands of Grand Master Carlson Gracie in 1986. The famous De La Riva guard came about as Ricardo’s solution to avoid being crushed constantly by his heavier opponents at the gym. At first the guard was called “Guarda Pudim” (Pudding Guard) because his opponents would be unbalanced going wobbly when he played the guard. It was only in 1987 after De La Riva beat the (until then) unbeaten Royler Gracie at the “Copa Cantão”, applying that guard extensively during the match with the highly decorated Gracie, that the media started calling that position the “De La Riva”. 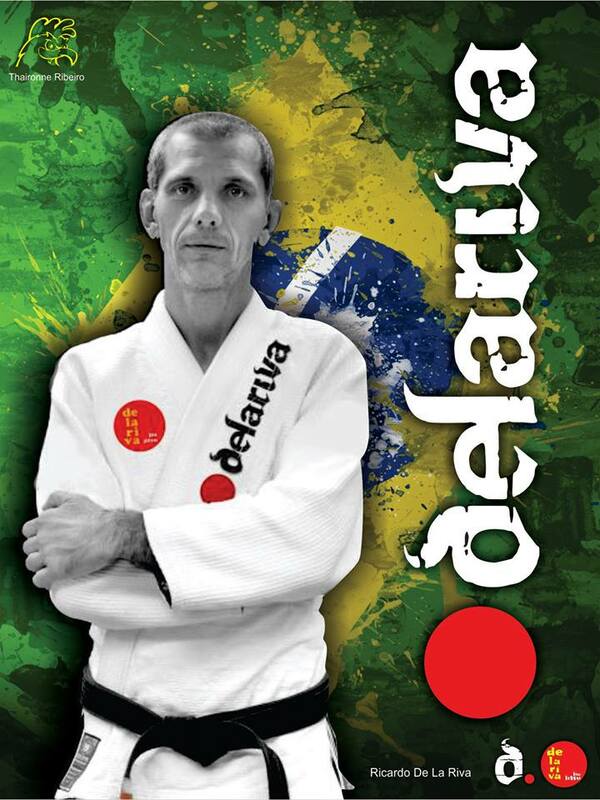 In 1993 Ricardo De La Riva stopped competing to dedicate himself fully to teaching, but in 2002 when he was 37 years old, he decided to go back and try his luck at the World Championships. He only lost in the Semi Finals, taking the Bronze Medal which was a tremendous achievement for the master. He also competed at the prestigious invite only ADCC in 2003 and has made some exhibition matches in 2004.